We are a small, dynamic group of digital tinkers who are deeply invested in our clients’ business to help them leverage digital technology (platforms, marketing and content creation) to gain an advantage over their competitors. 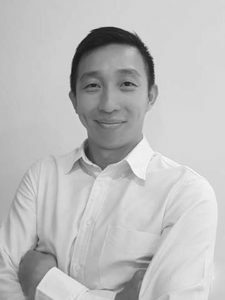 Simple Media Works was founded with a focus to deliver digital solutions that add value for small and medium businesses in Singapore. Our philosophy is being honest and transparent throughout our partnership and always recommending the “right” solution that we believe will work for you. We won’t sell you a solution that doesn’t yield results. Whether you’re a start-up or an established brand, if you’re searching for a team of experienced digital professionals who’ll work hard to gain you an unfair advantage, we should talk. We are entrepreneurial by nature and are always looking out for exciting new projects and ideas. If you have an exciting concept or product, feel free to discuss with us. We’d love to hear from you. Everything starts with a chat. Let’s talk. After hearing from you, we should be able to explain if and how we can help you. If we’re a good fit, we can proceed to work together. While we hope to add value from day one, that might not be always the case. If we’re not a good match, we’ll help point you in the right direction so it’s a good use of both our time and resources. 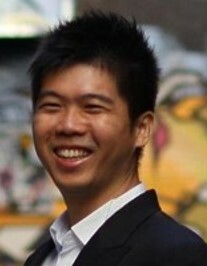 A seasoned and proven media optimizer with 10+ years of experience in APAC. Moses has extensive digital marketing knowledge and hands-on experience across paid, own and earn channels for branding and performance-driven campaigns. He gained expertise in media operations, direct response, campaign measurement framework and data analysis to drive business outcome from his corporate experience with Daimler and General Motors. Business & Marketing strategist who approaches today’s complex challenges with simple holistic strategies, effective KPIs and efficient implementations to achieve management objectives. More than 15 years of regional (Middle East, Africa and APAC) business experience with track record of success in new product launches, business development, marketing strategies (integration of traditional and digital media) planning and Go-To-Market / tactical implementations.